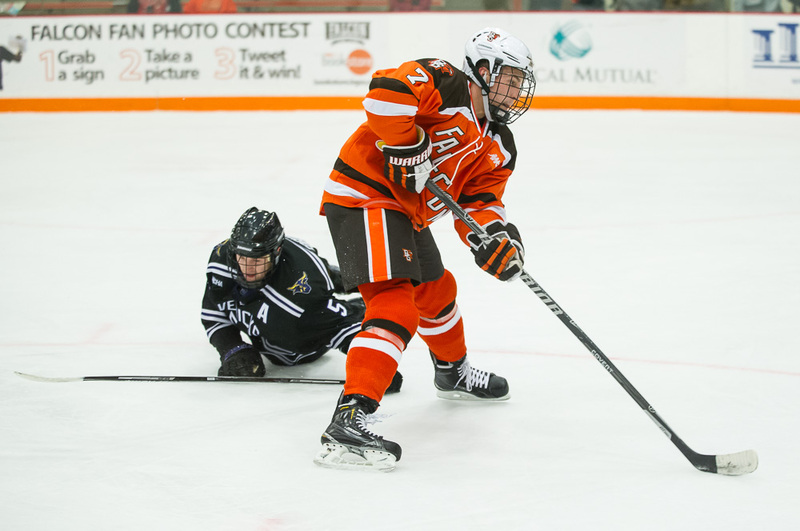 Bowling Green’s Tyler Spezia is the Western Collegiate Hockey Association’s rookie of the week. The freshman forward had three goals, five shots and an on-ice rating of plus-3 in the Falcons’ split with Minnesota State, ranked 12th last week. He scored the game-winning goal in the third period, breaking a 1-1 tie and helping BG to a 3-1 victory. He had both Falcon goals Friday in a 5-2 loss. Spezia has played in all eight games this season, totaling four goals, just one penalty and an on-ice rating of plus-5. He also skates on the power play.